A Hereford mum had a hand in planning her own remembrance evening during the final days of her life. 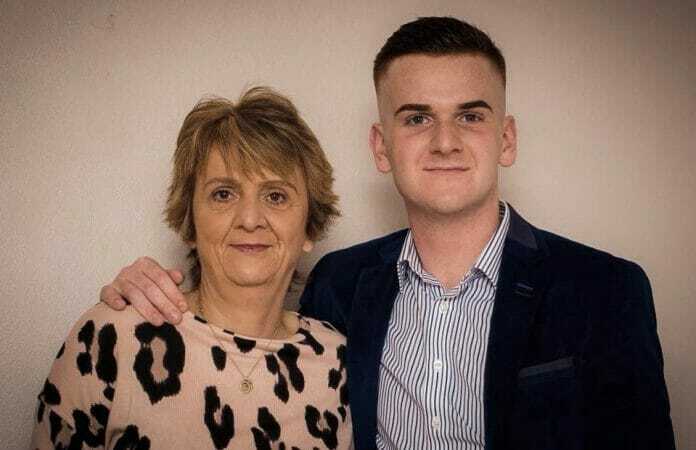 Cindy Davies died at St Michael’s Hospice in Bartestree but was well aware of plans for a special music night in her memory being organised by her son, Cory Tyler. The musical fundraiser for St Michael’s will feature performances from popular singers Crystal Bawls and Eryl Restall, plus other performers. It takes place on Friday 3rd May and looks set to sell-out. ‘Mum was at St Michael’s for four weeks,’ said Cory. He said he wanted to do something for the Hospice to say thank you, both for looking after his mum and his cousin who was at St Michael’s last year. ‘Mum knew I was planning this event in her memory,’ Cory added. ‘I ran the posters past her while she was at the Hospice. She was very happy with it. ‘Mum said St Michael’s was her home away from home. Shortly before Cindy died, she was able to watch her daughter, Kerry, get married thanks to a wedding blessing organised by St Michael’s with dozens of friends and family looking on. The family was able to stay at a house in the grounds of St Michael’s for the duration of Cindy’s time there. ‘Being offered use of the house made such a difference,’ said Cory. ‘It meant we were literally on mum’s doorstep and we didn’t have to worry about travelling to Bartestree and back each day. There are just a handful of tickets remaining for the musical night at Hereford Welsh Club on Hinton Road, which also features a prize raffle. To book, call Cory on 07778 616037 or buy them at The Commercial and The Wellington pubs in Hereford.